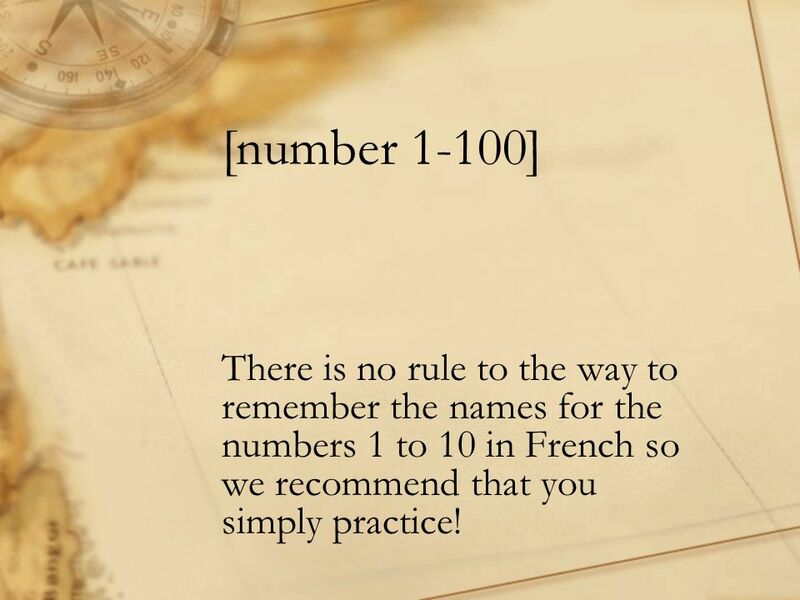 1 [number 1-100] There is no rule to the way to remember the names for the numbers 1 to 10 in French so we recommend that you simply practice! 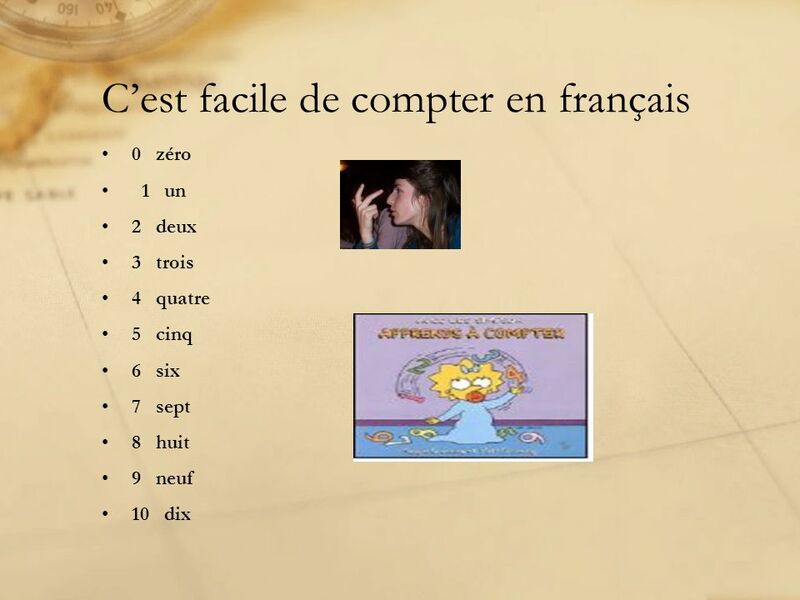 10 is a nombre ou numéro! 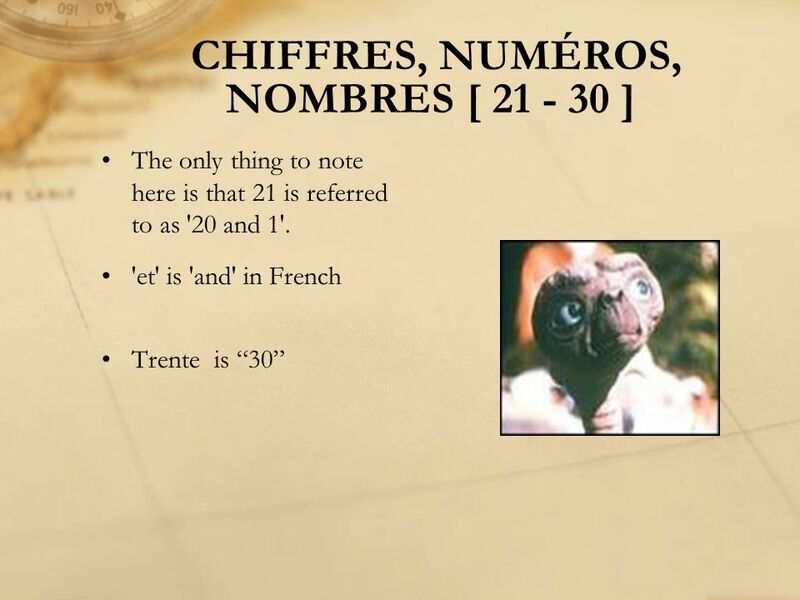 Un chiffre is used to express a digit. 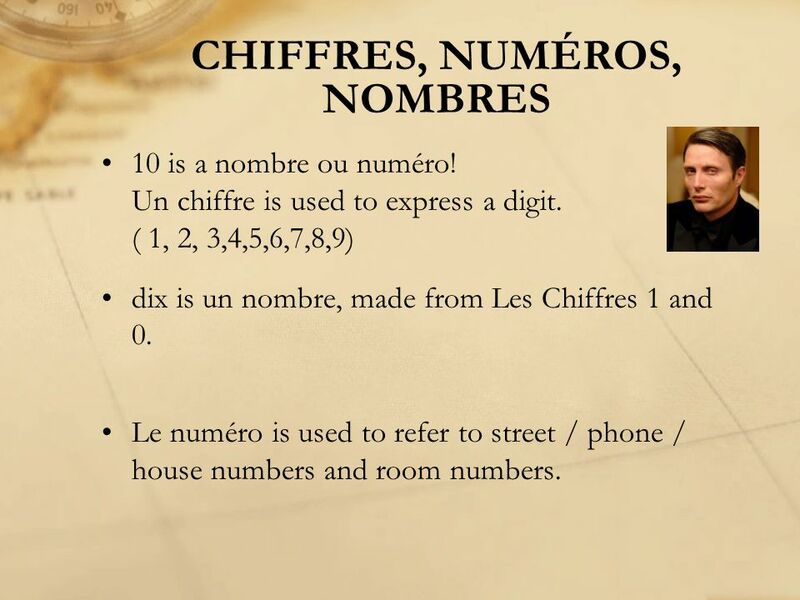 ( 1, 2, 3,4,5,6,7,8,9) dix is un nombre, made from Les Chiffres 1 and 0. 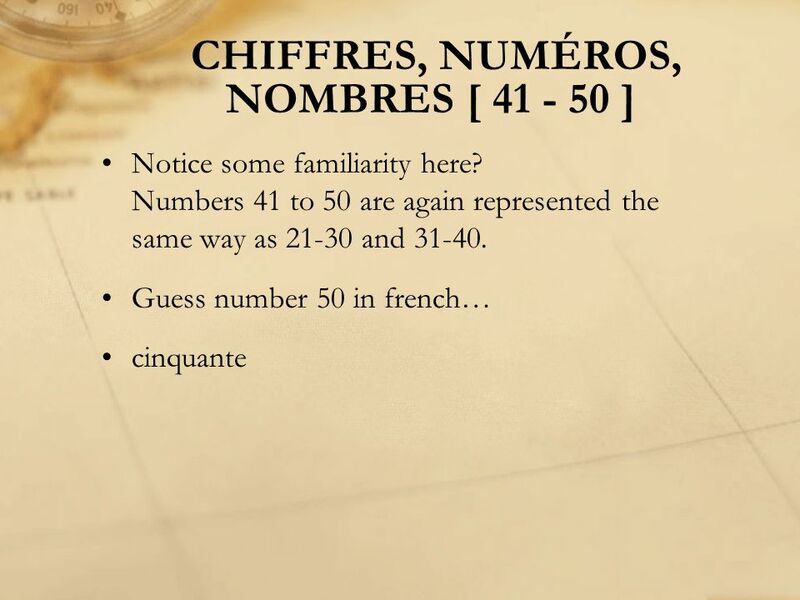 Le numéro is used to refer to street / phone / house numbers and room numbers. 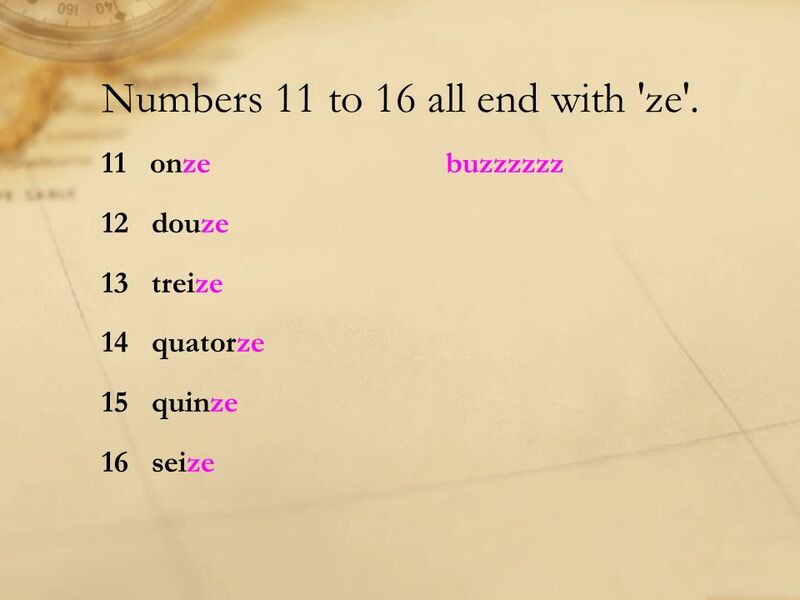 Numbers 11 to 16 all end with 'ze'. 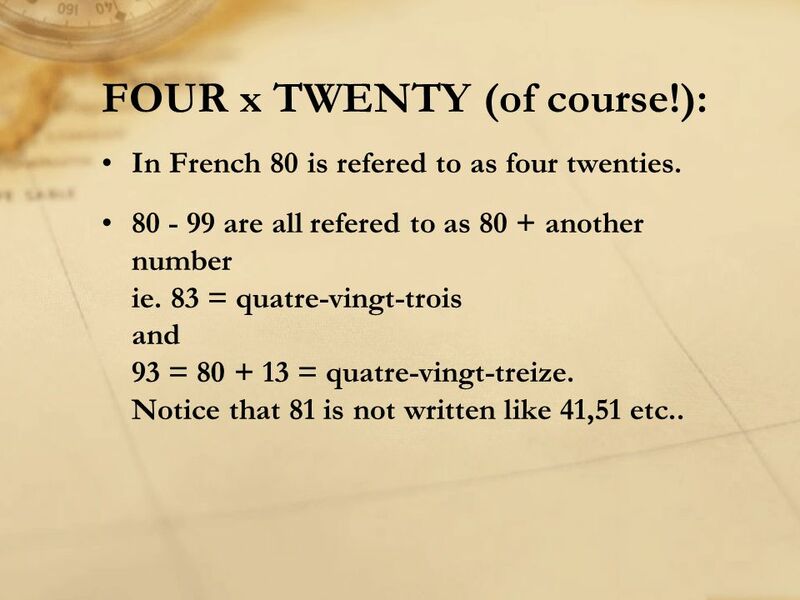 Numbers 17, 18 and 19 are directly translated to be 'ten-seven','ten-eight' and 'ten-nine'. 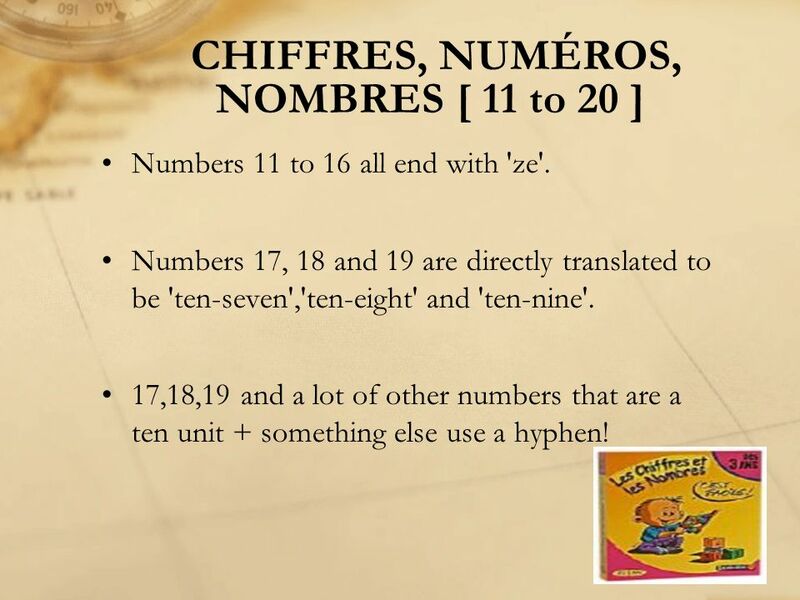 17,18,19 and a lot of other numbers that are a ten unit + something else use a hyphen! 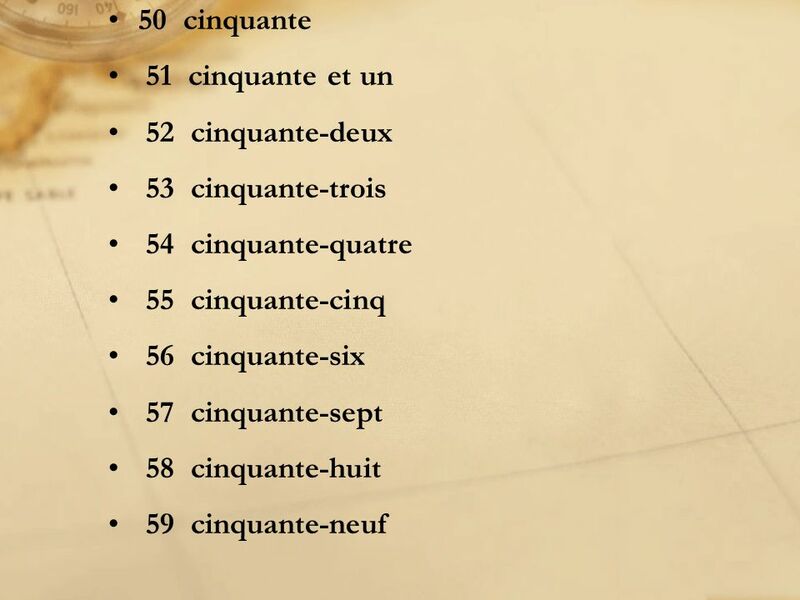 5 Numbers 11 to 16 all end with 'ze'. 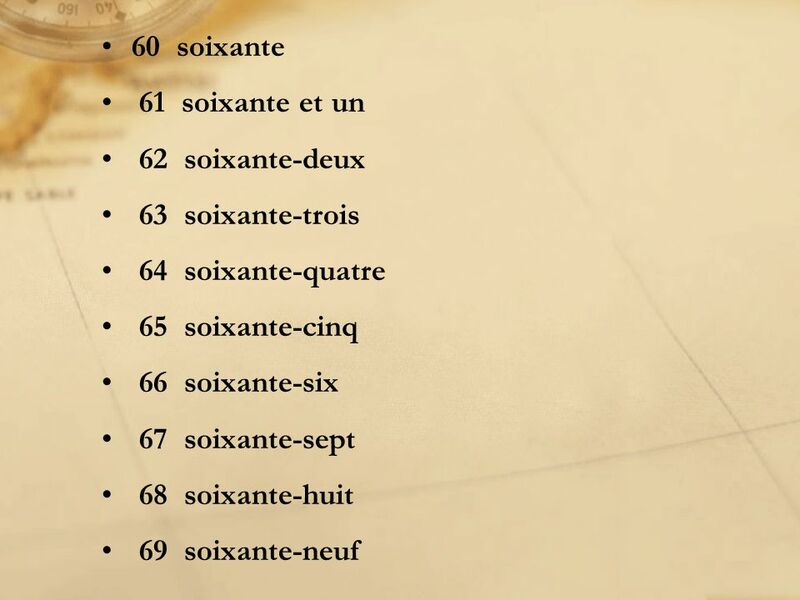 6 Numbers 17, 18 and 19 are directly translated to be 'ten-seven','ten-eight' and 'ten-nine'. 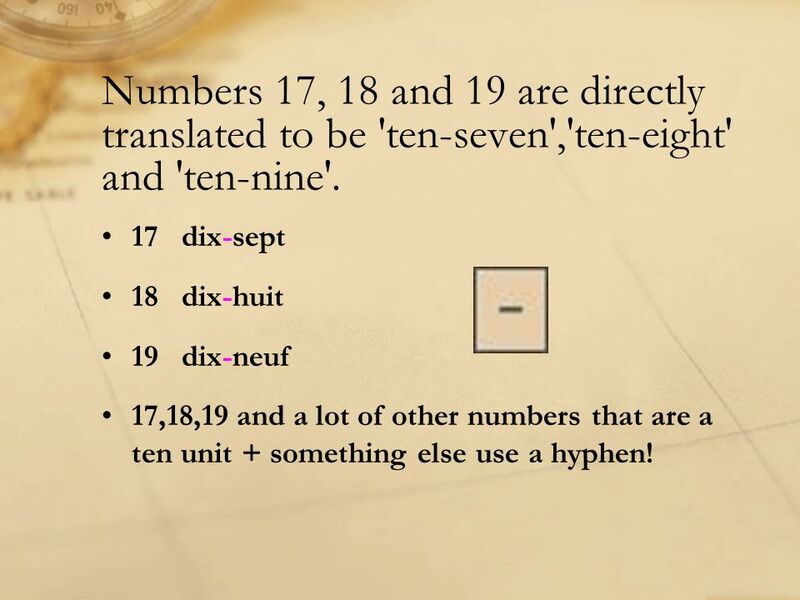 17 dix-sept 18 dix-huit 19 dix-neuf 17,18,19 and a lot of other numbers that are a ten unit + something else use a hyphen! 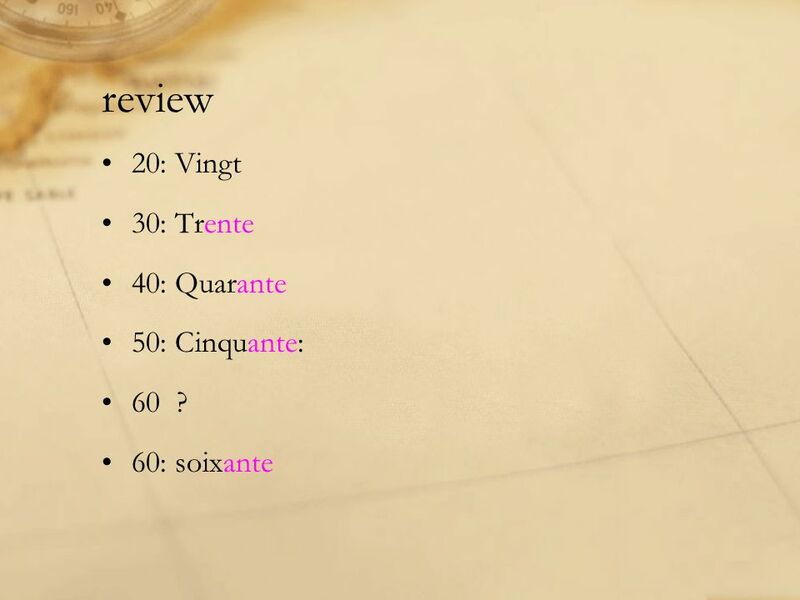 14 review 20: Vingt 30: Trente 40: Quarante 50: Cinquante: 60 ? 18 70 and 60, 10 ! This is where things start to go a little bit strange. 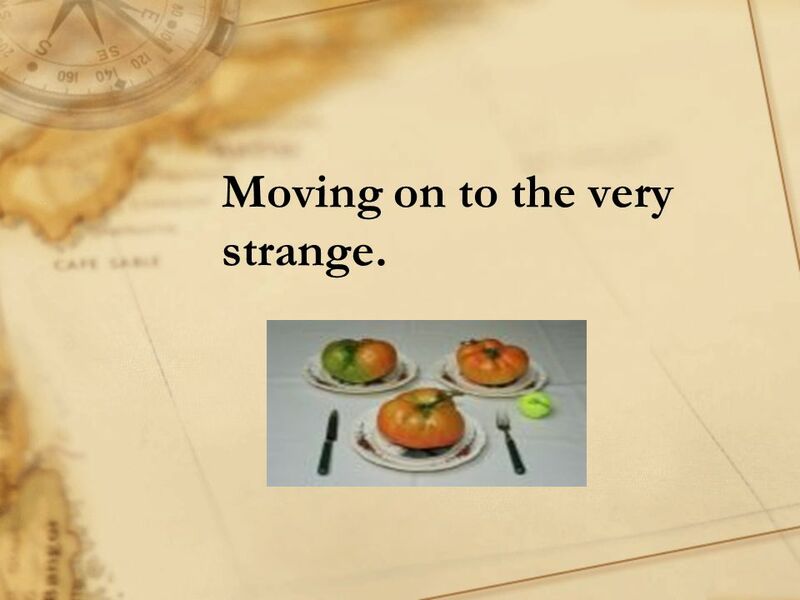 20 Moving on to the very strange. 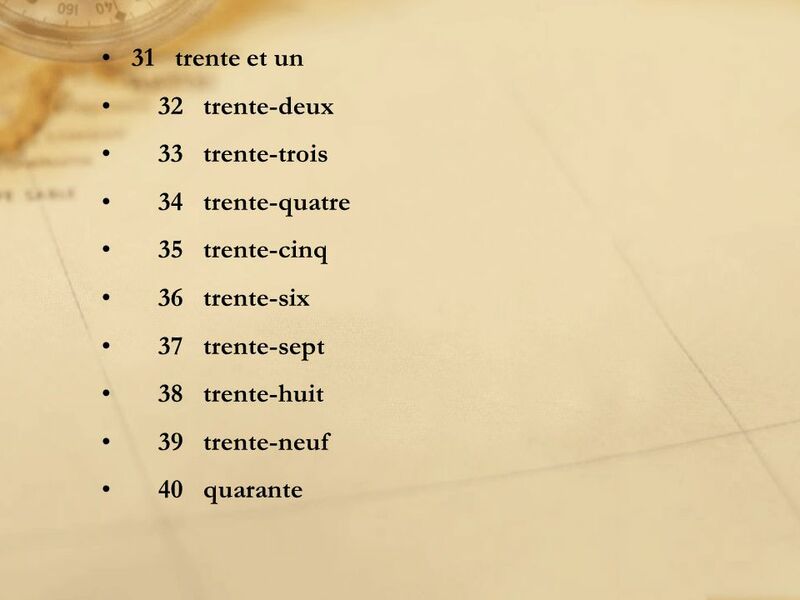 In French 80 is refered to as four twenties. 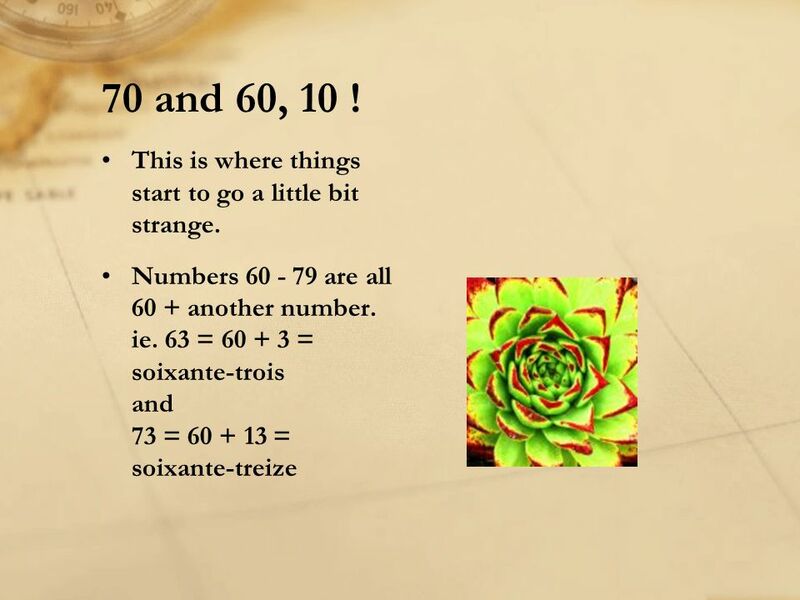 are all refered to as 80 + another number ie. 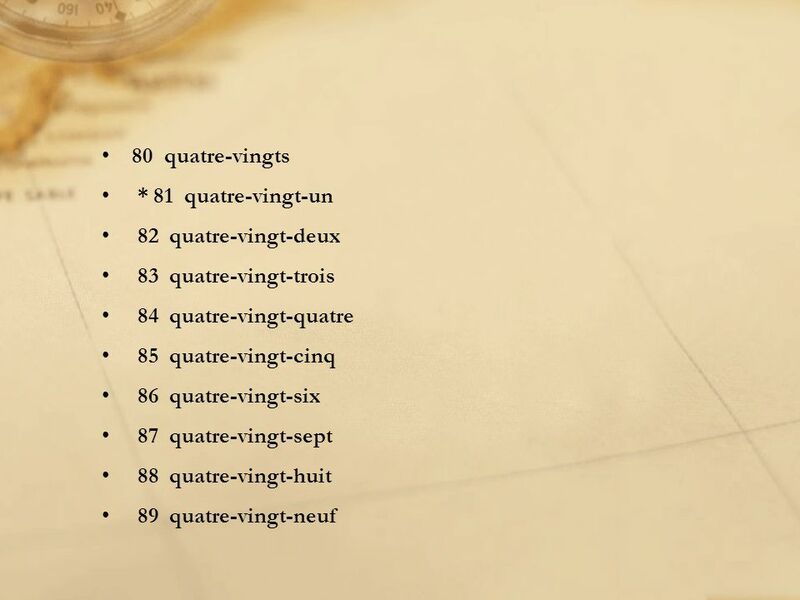 83 = quatre-vingt-trois and 93 = = quatre-vingt-treize. 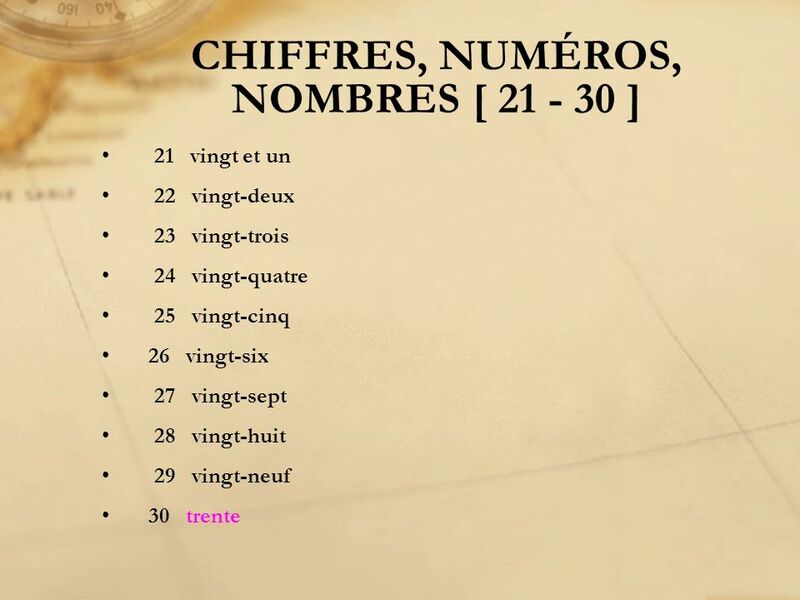 Notice that 81 is not written like 41,51 etc..
27 NOMBRES > 100 ! 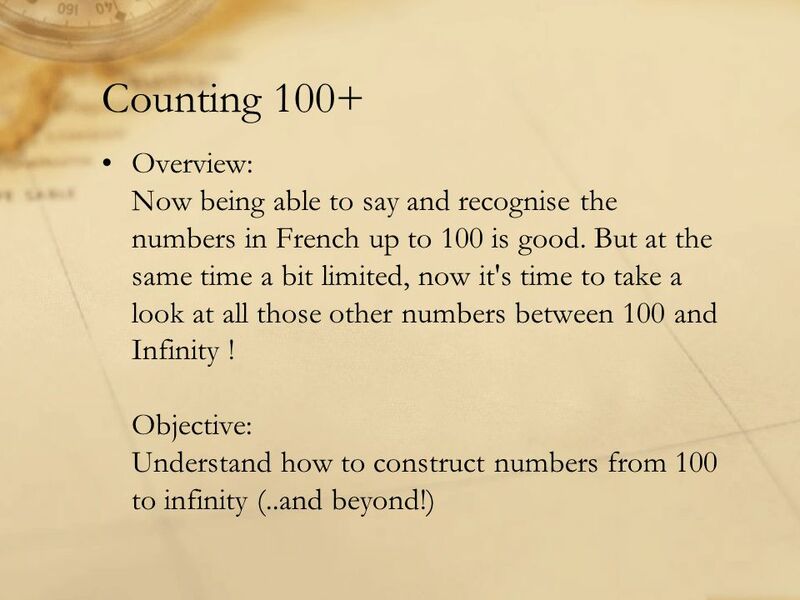 If you can remember all the numbers up to 100 then numbers greater than 100 are actually quite straightforward. MULTIPLE 20's and 100's:When you have multiple 'vingt' OR 'cent' expressions they are written plural ie. 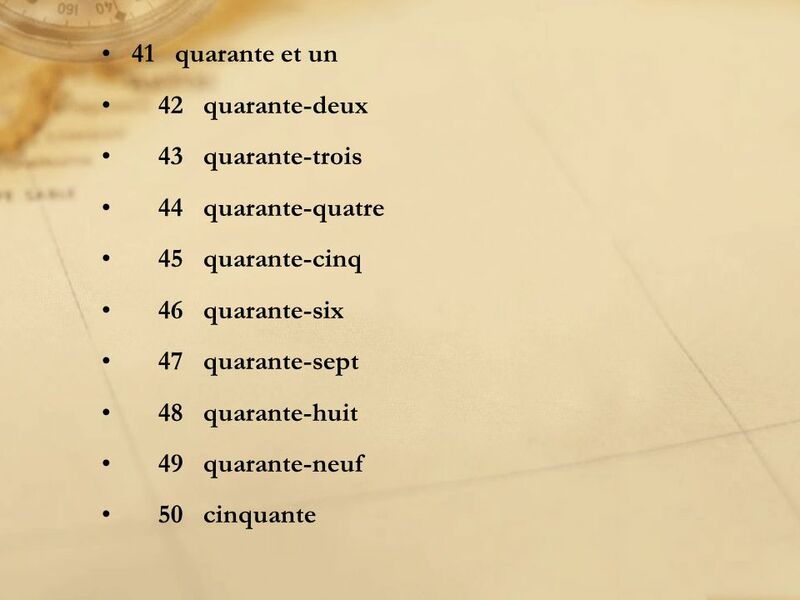 80 = quatre-vingts 400 = quatre cents ..BUT.. 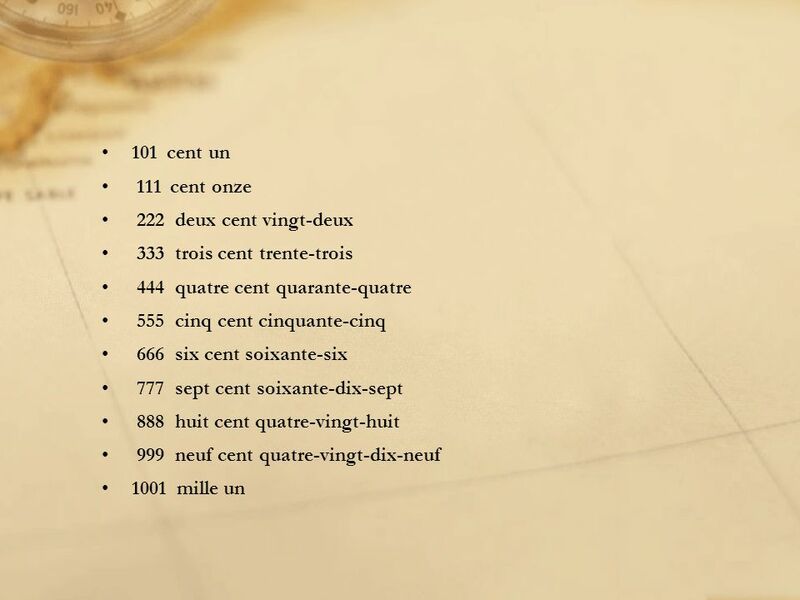 'cent' only takes an S when it is more than 100 and not followed by another number. ie. 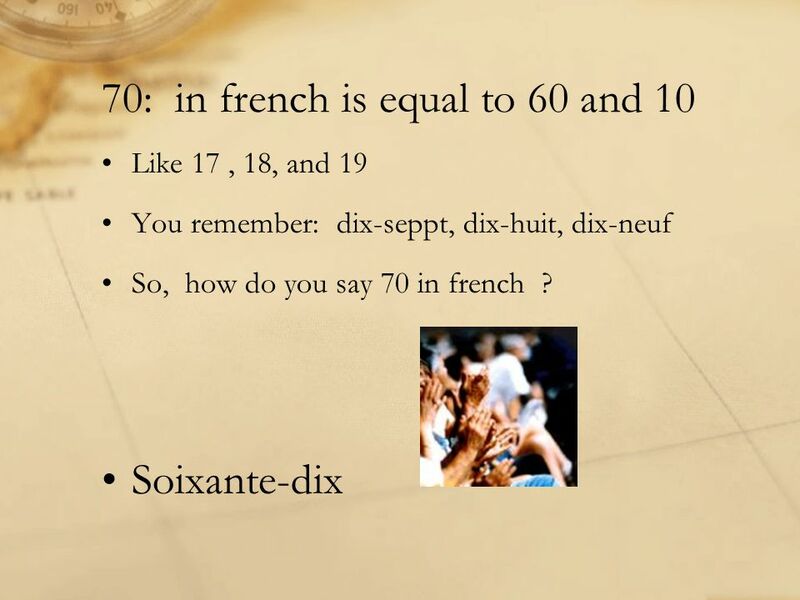 210 = deux cent dix! 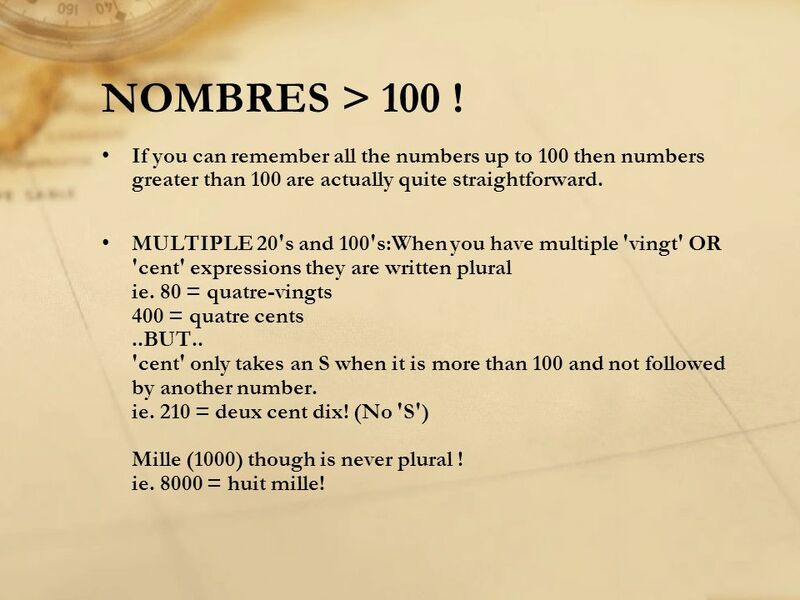 (No 'S') Mille (1000) though is never plural ! 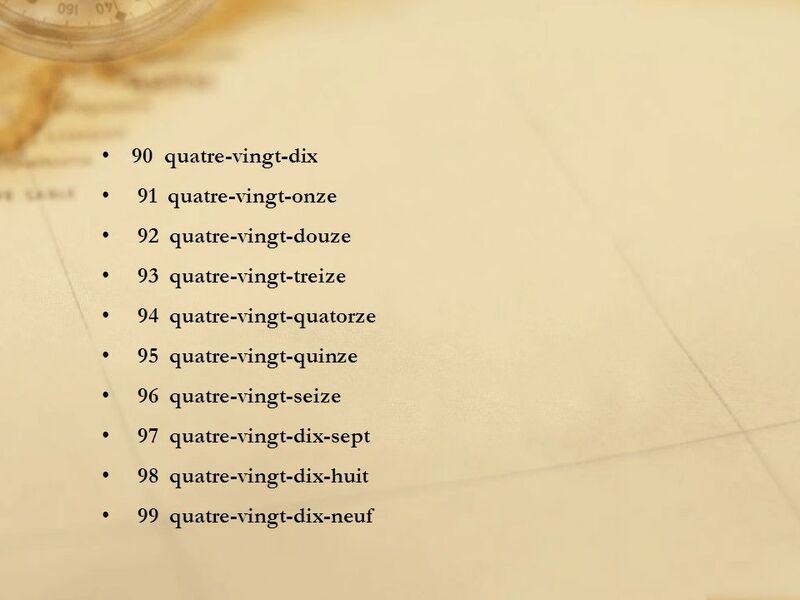 ie = huit mille! 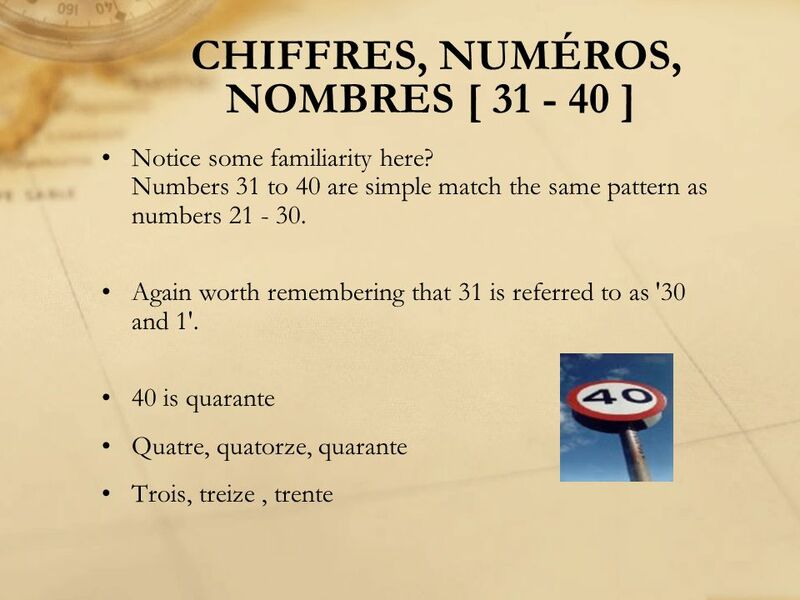 Télécharger ppt "[number 1-100] There is no rule to the way to remember the names for the numbers 1 to 10 in French so we recommend that you simply practice!" 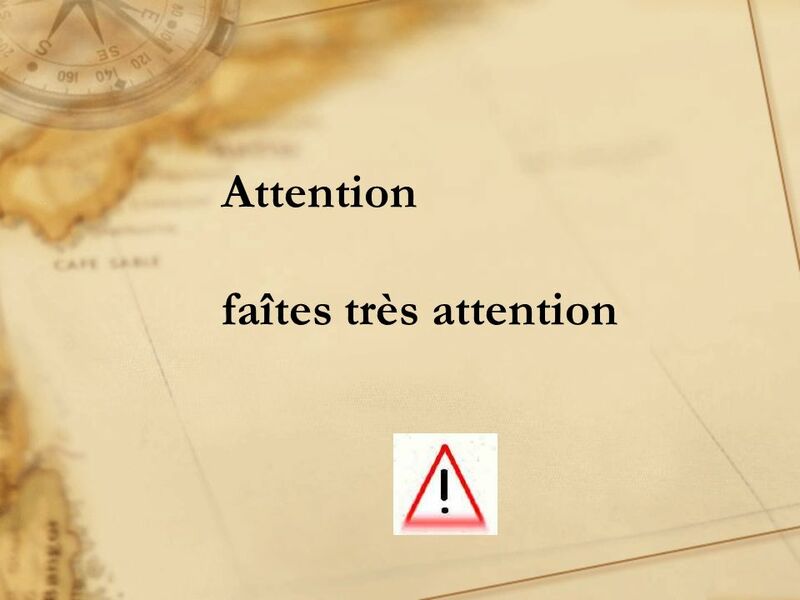 Récapitulation: Chapitre 4. 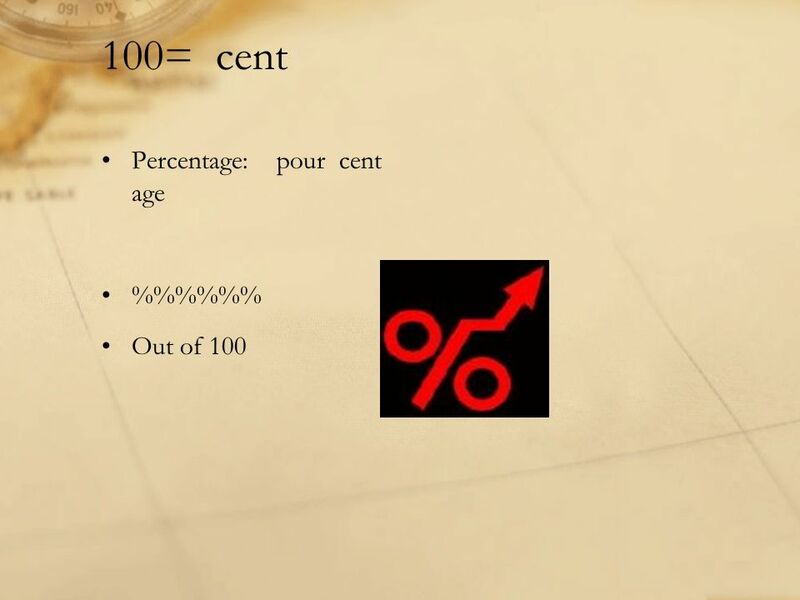 The following PowerPoint presentation is intended to help you review for test number four. I suggest that you work your way.